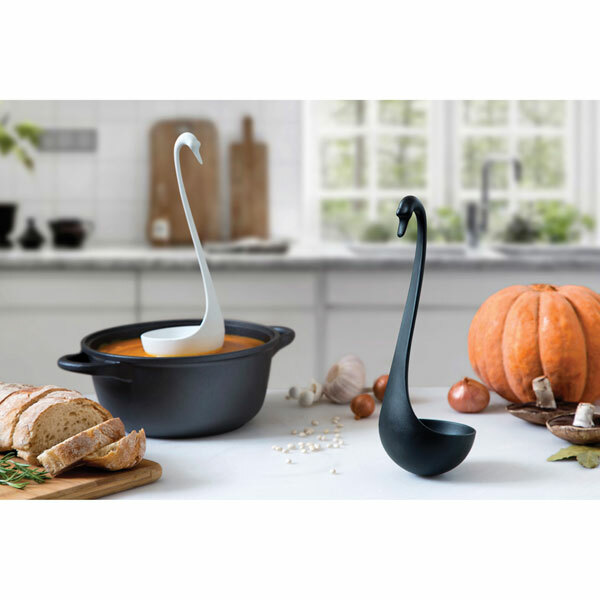 Serenely floating, balanced like a ballerina, this graceful ladle is perfect for a punch bowl and an excellent excuse for bringing a pot of soup to the table. The brilliant design keeps it afloat on liquid; the weighted bottom keeps it upright on a table or counter. Food-safe, BPA-free, heat-resistant, dishwasher safe, about 11" high. From OTOTO Design. Choose black or white.